A year ago, one of my dreams came true! I qualified for the Boston Marathon. 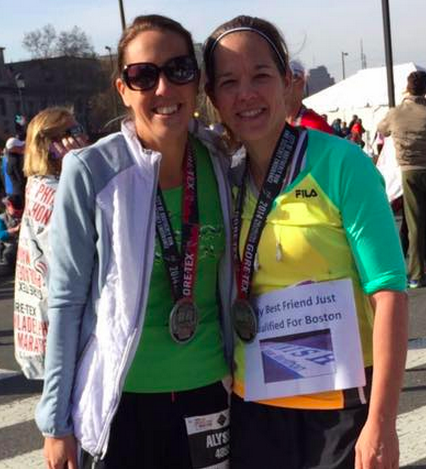 I have been running marathons for the past several years and qualifying for Boston has been a goal of mine. It took countless hours of training. In fact, over the last 4 years alone, I’ve logged 6,500+ running miles. Needless to say, when I crossed the finish line with a qualifying time 1:51 quicker than the required time for my age group and was greeted by my loved ones, the tears freely flowed for all of us! Since then, I have planned for, read about, and dreamed about crossing the finish line in the city of Boston on April 18, 2016. Something else you probably know about me is that I’ve been involved in The Leukemia & Lymphoma Society for many years. On Dec. 25, 2008 my dear friend Kristin’s dad, Joseph Staudt, passed away after his courageous battle with Non-Hodgkin’s Lymphoma. Following that, two of my uncles were diagnosed with and treated for Lymphoma. Once cancer has touched your life and you’ve witnessed what patients and loved ones endure, you realize you have to do something! That brings me to September 2015. I registered for the 2016 Boston Marathon with my Philly 2014 qualifying time. Nine days later I found out that due to the number of registrants and the limited number of spaces, the required time for accepted runners was 2:28 faster than the required qualifying time per age group, an all time historically stringent cut-off. That meant that I missed being accepted into the race by 0:37 seconds. I was devastated. After processing the shock, I knew right away that God must have a plan for why this had happened and that I had to make something great come from my intense disappointment. I applied for The Leukemia & Lymphoma Society Boston Team in Training, which would provide me a spot in the marathon based on fundraising for the organization, which I wholeheartedly support. It was a huge leap of faith and commitment, but I strongly felt led to trust God. On Oct. 22nd, I received the exciting call, letting me know that I was accepted! 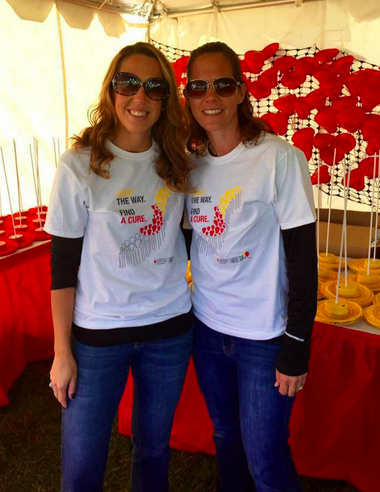 Both my passion for running Boston and my passion for LLS would be coming together as one! Unlike weeks earlier, tears of joy flowed! I won’t just be running in Boston 2016 because of my qualifying time, but also for LLS because someone’s life depends on it! By participating as a member of The Leukemia & Lymphoma Society’s (LLS) TNT, I am raising funds and awareness to help find cures and ensure access to treatments for blood cancer patients.